In an effort to reduce the impact of drought on two of Cambodia’s most at-risk provinces, Kampot and Takeo, United Nation Development Program (UNDP) Cambodia and DanChurchAid (DCA) have joined together to establish two new provincial drought information hubs and to train farmers and local communities in climate-resilient agriculture. The initiative marks another in a series of partnerships forged by UNDP under a project strengthening climate information and early warning systems in Cambodia. Around 2,300 farmers and 30 provincial officials in Takeo (Bati, Samrong and Tramkok Districts) and Kampot (Teuk Chhou and Banteay Meas Districts) provinces are expected to directly benefit, with another 1.47 million people in the two provinces to benefit from early warning systems. The initiative scales up a ‘Drought Monitoring InfoHub’ piloted by DCA in Kampong Speu in 2017, the first of its kind in Cambodia­. The initiative brought together provincial line departments of the Ministry of Water Resources and Meteorology (MOWRAM), the Ministry of Agriculture, Forestry and Fisheries (MAFF), and the National Committee for Disaster Management (NCDM) to identify vulnerabilities, improve monitoring, and to equip provincial authorities to take swift action to prepare their communities when drought-like conditions develop. “Because more than three-quarters of Cambodia’s population relies primarily on subsistence agriculture, droughts and floods threaten to tip large numbers of people into poverty. 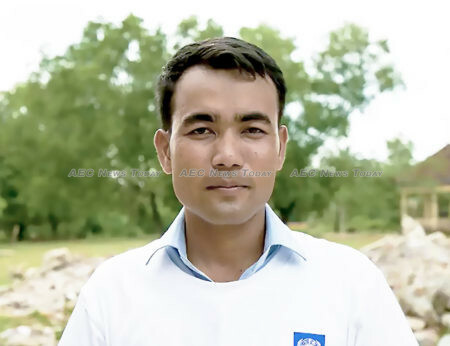 Preparing for these events – particularly in the face of climate change – is critical to helping communities not just adapt, but prosper”, said UNDP Early Warning Systems project manager, Muhibuddin Usamah. “The hub established by DCA in Kamphong Speu presents best practices for provincial-level drought co-ordination. 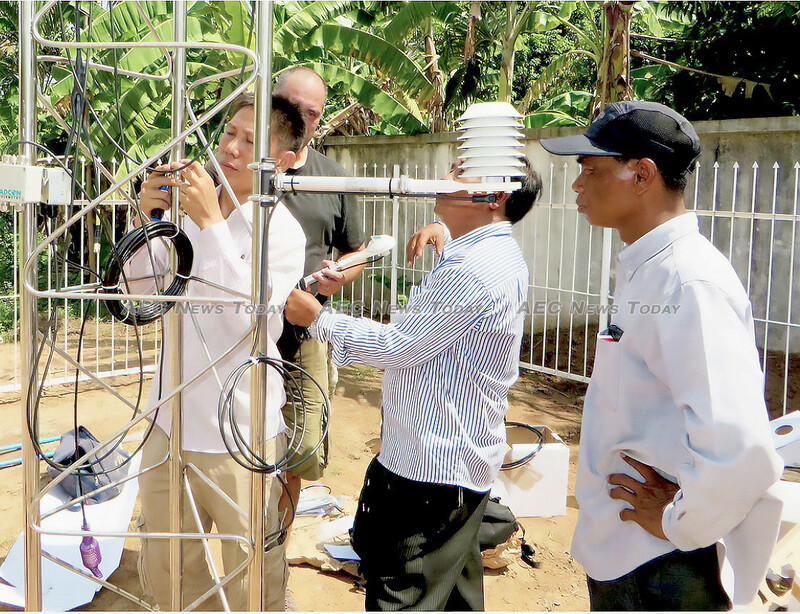 “We’re pleased to be replicating it in two more of Cambodia’s most vulnerable provinces, provinces where UNDP has recently supported the installation of automatic weather stations and automatic hydrological stations” he added. 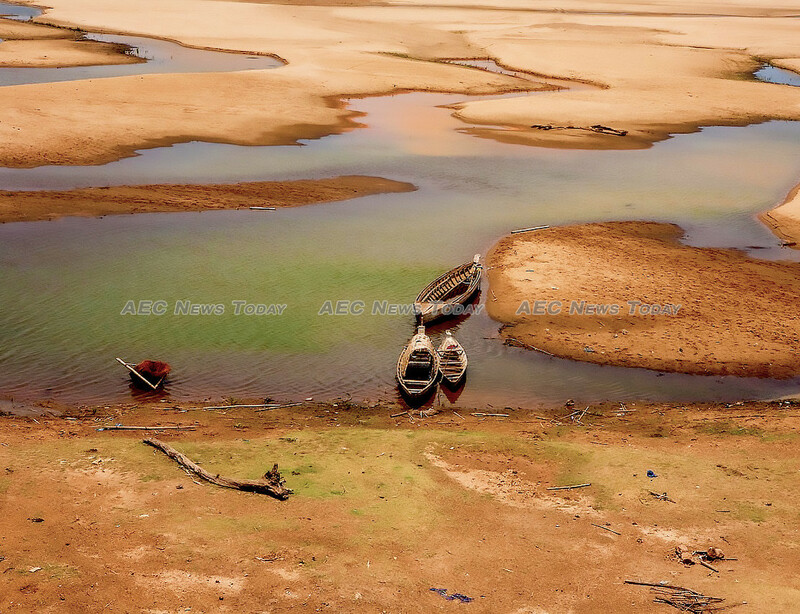 Localised floods and droughts are frequent, recurring events in Cambodia. 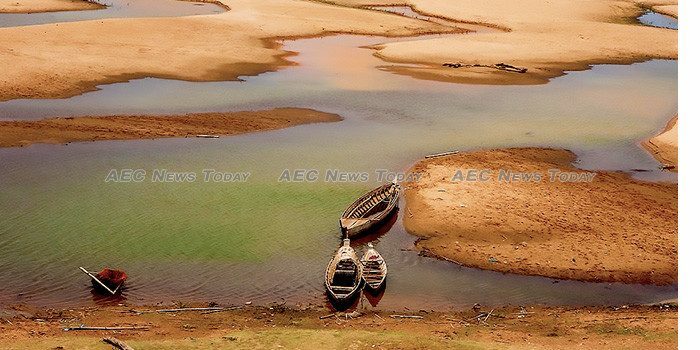 In 2015 Cambodia experienced its worst drought in half a century, with most of its 25 provinces experiencing water shortages, and around 2.5 million people severely affected. In 2012, drought across 11 provinces adversely affected tens of thousands of hectares of rice paddies. Climate projections point to more intense – and unpredictable – wet and dry seasons, and higher average temperatures, with implications for water security, food security, livelihoods, and health. One study found that severe drought during one rice producing season can result in over 80 per cent of the potential harvest being lost. In turn, reduced agricultural production can cause hunger and malnutrition, negatively affect Cambodia’s overall economic performance, and hamper progress towards the Sustainable Development Goals (SDGs). train 450 farmers in drought-resistant agricultural techniques. “The Drought InfoHub is a working group of provincial officials from across line departments, facilitating information sharing and improving early response and mitigation around drought. “It is in large part about equipping disaster management officials and smallholder farmers with the information they need to make decisions to reduce risks”, said Mr Usamah. “Given its complexity, making sure local stakeholders understand drought is the first step in mitigating its impacts”, he added. Increasing the resilience of rural infrastructure to droughts – including irrigation systems, wells, and ponds, improving human and institutional capacity, and improving meteorological and hydrological services – are identified as key priorities under Cambodia’s Climate Change Strategic Plan 2014-2023. UNDP plans to work further with DCA under the ‘Strengthening Climate Information and Early Warning Systems in Cambodia’ project, expanding the information hubs to other provinces and linking them with the global drought monitoring initiative managed by SERVIR Mekong. This article was written by Muhibuddin Usamah, Early Warning Systems project manager, UNDP. It first appeared on Climate Change Adaption under a Creative Commons License and is produced here with its permission. UNDP works in about 170 countries and territories helping to achieve the eradication of poverty, and the reduction of inequalities and exclusion. We help countries to develop policies, leadership skills, partnering abilities, institutional capabilities and build resilience in order to sustain development results. UNDP is also central to the United Nations Sustainable Development Group (UNSDG), a network that spans 165 countries and unites the 40 UN funds, programmes, specialised agencies and other bodies working to advance the 2030 Agenda for Sustainable Development.